I am suggesting exacty what you say in my RFI. I have also participated in a telephone conference with OSHA and these are the types of things that they want to address with employee exposures. If OSHA finally recognizes boihazard exposures, such as MRSA, which HCWs encounter regularly, it will force facilities not to take it so lightly. There are ways to stop MRSA from spreading and/or having HCWs get exposed so often, that most hopsitals have not adopted. Infection control is consistantly underfunded by hospital administrations. Exposure to deadly MDROs is not something that HCWs should take lightly or in stride. If you become infected because of unknown infection in a patient or because your hospital is consistantly late in diagnosing these infections and therefore inadequate precautions are prescribed.....you will pay the price with your own health, your career and your own money. You will have the fight of your life if you want to get workmans comp for such an infection. OSHA has a sincere desire to do something contstructive about this. If you have ideas about how to better protect yourself and your coworkers, this is your chance to send your ideas to OSHA. It is the job of OSHA to make your workplace safe and that is their desire with this new RFI and work toward decreased biohazard exposure. I totally agree....once a nurse, always a nurse. I advise family and friends, advocate for them and many others, and read nursing related information and articles all the time. If somebody is in an accident or falls, I'm there! It's in the blood, I swear. So, truthfully, nurses never retire. We just stop getting paychecks. I participated in a conference call with OSHA 2 weeks ago. I will work with them as a member of the Consumers Union to discuss and come up with recommendations for HCWs exposure to boihazards, including Hospital acquired infections. My focus has been MRSA, but HCWs are exposed on a regular basis to a number of infections. Delayed diagnosis of these infections can create a problem with exposure while inadequately protected to these illnesses. I will offer my opinion by answering the Request for Information that OSHA is seeking. Repeated exposures to these sometimes deadly and horrible infecitons should not be accepted as part of your daily routine. It could jeopardize your life or that of your family members if you carry it home. This RFI ends on August 4, 2010. Please submit your own opinions, for your own protection. http://www.dol.gov/federalregister/PdfDisplay.aspx?DocId=23847 ADDRESSES : You may submit comments and additional materials by any of the following methods: Electronically: You may submit comments and attachments electronically at http:// Regulations.gov, which is the Federal eRulemaking Portal. Follow the instructions online for making electronic submissions: Fax: If your submissions, including attachments, are not longer than 10 pages, you may fax them to the OSHA Docket Office at (202) 693-1648; or Mail, hand delivery, express mail, messenger or courier service: You must submit three copies of your comments and attachments to the OSHA Docket Office, Docket No. OSHA-2010-0003, U.S. Department of Labor, Room N- 2625, 200 Constitution Avenue, NW., Washington, DC 20210. Can nurses with MRSA work? 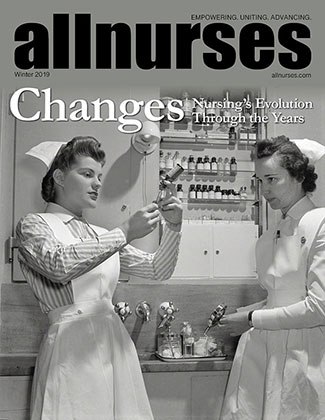 The problems with MRSA colonized and/or infected Nurses or HCWs. 1. you can spread disease with either condition 2. you don't have infected family members but are constantly exposed to MRSA on your job, yet your employers deny workmans comp for missed work and treatment of MRSA. 3. Ignoring MRSA will not make it go away. You should report your MRSA to your hospital IC department. Refusing to be screened will not help you or your patients. 4. Fight for better prevention of MRSA in your facilities in the form of Active Detection and Isolation. Rapid MRSA screening will allow early or immediate diagnosis of colonization and Isolation and contact precautions can be enacted right away... meaning fewer unprotected exposures for HCWs. If you are a HcW...and need surgery, DEMAND a screening. If you won't do that, then get your doctor to prescribe decolonization (mupirocin in the nares for 5 days and chlorhexidine showers prior to surgery). You still will not know if you are colonized, so the appropriate preoperative antibiotics may not be used. And finally, never ignore precautions and/handwashing. Yes, think of the money they would have to pay. But, why shouldn't they? Nurses are willing to put their lives on the line for patients. Hospitals fail to enact effective preventative measures (in the case of MRSA, ADI)....so they are liable for their HCWs exposures and subsequent colonization and or active infections. The answer to it all is to prevent the infections in the first place. Safer and infection free patients make for safer and infection free HCWs....fewer exposures to infection. http://www.fiercehealthcare.com/story/four-percent-healthcare-workers-mrsa-positive/2010-04-07 This study is in the original post. http://www.shea-online.org/Assets/files/position_papers/SHEA_MRSA_VRE.pdf This is the 2003 SHEA recommendation for MRSA and VRE control. Since 2003, SHEA and CDC both have weakened recommendations rather than enhancing these very effective recommendations....all the while MRSA and VRE infections have become epidemic nationwide and worldwide. Even though this has happened, one of the authors of this 2003 SHEA, and other proponants of ADI have actively promoted ADI because it works. Hospitals have had a huge increase in rates over the past 10 to 15 years. With little education on how to avoid spreading the disease, patients who survive go home, and it has spread into their families and the community. Last count 85% (CDC number) of all MRSA is still Healthcare acquired. But, community acquired is a growing concern now. All of these problems point to a new stricter approach to MRSA control including screening, Isolation and strict contact precautions. ADI. Handwashing is vital, but it is NOT the silver bullet in controling MRSA. Without stringent and MORE mandates (ADI) for prevention, MRSA will continue to grow and morph and kill. My father was a victim of lax inadequate infection control policies for MRSA, and he died because of it. Your husbands experience is exactly the reason that MRSA continues to be a problem in our hospitals. If you share a room with a MRSA patient, you share their MRSA. They use the same bathroom and facilities, and often times the same BP cuff, stethescope, nurses and other HCWs, etc. According to the CDC protocol (which is not a mandate and a recommendation only and is weak and ineffective) any MRSA infected or colonized patient should be isolated or cohorted with another MRSA patient, but if that is not possible they can be roomed with someone who is not "susceptible" to MRSA. I would like to know who that would be. We are all susceptible. I would rather be cared for at home too, than be in a room with someone who has MRSA. I would be safer. The 2003 SHEA recommendations are to screen ALL high risk patients, cohort or isolate ALL patients with MRSA or colonization and contact precautions. Active Detection and Isolation is used in all northern European countries, Western Australia, all of our VA hospitals, all HCA hospitals, and many individual American and Canadian hospitals, and now all of Englands Hospitals. All of these hospitals have had great success with ADI. I work with my State legislators and Federal legislators along with many other MRSA activists and advocates to make the changes needed to stop MRSA. The Consumers Union Safe Patient project is part of Consumer Reports and is very active in promoting ADI for all hospitals in the US. I am part of this group and will continue this fight to stop MRSA. You need to take your issue to your State Department of Health and Human Servies, and demand an investigation into that hospitals MRSA rates and their practices. Decolonization for MRSA...simple decolonizatoin....is generally 5 days of Mupirocin into the nose a couple times per day and 3 to 5 Chlorhexidine baths. My thoughts are that HCWs with newly diagnosed MRSA(either colonization or infection) should automatically be considered as job related and be compensated for treatment. Some Northern European hopsitals screen HCWs. Why not? We screen everyone for TB and offer treatment to newly positive employees. I agree, Universal Precautions all the time, but enhanced contact precautions for MRSA colonized and/or infected patients. It is difficult enough to get HCWs to do handwashing. Without special signage and compliance with Isolation contact precautions....and designated medical equipment.....MRSA will spread. It is very personal, but it is also very professional. I have aligned mysel with World renown Epidemiologists, with years of experience and proof that ADI works. Some are known worldwide for their honest and sucessful work in the prevention of MRSA. So, yes, I hurt because of loss, a very personal loss, and now I work so others do not have to go through the same thing....I work for myself, my family and all of yours too. And, the pay is $0 per hours. It has become the most satifying work of my career. Try reading thousands of articles, from Medical and nursing journals and all sorts of other media with the same sad news that the MRSA epidemic is growing inside and outside hospitals. Read the couple hundred studies that prove that MRSA ADI greatly reduces MRSA rates. Call your local VA hospital or an HCA hospital and ask them about their results with ADI. Meet with victims of serious MRSA and discuss the long term debilitating effects of the disease. Or better yet watch your own father die of HA MRSA like I did and tell me that we should be going along and not changing our approach to MRSA prevention. I honestly cannot understand why anybody would argue against a preventative program that includes ADI and decolonization, that is proven to greatly reduce infections, suffering and death related to MRSA. I'd say that preventing the infections in hopsitals (last count by the CDC the greatest majority of all MRSA still comes from hospitals) in the first place with ADI is the way to go and I will fight for it until the cows come home! http://www.washingtonpost.com/wp-dyn/content/article/2010/05/17/AR2010051700006.html?hpid=sec-health Just one more disturbing article about MRSA, this time in children.